Great place to live. We are going to miss it here.submitted by Donald E. - Mar 26, 2019 |Recommended: Yesgreat place to live. Lots of friendly people from office, maintenance and residents. Great place to livesubmitted by Sean L. - Jan 31, 2019 |Recommended: YesVery nice and comforting place to live. Love it, but...submitted by Nathalie R. - Nov 19, 2018 |Recommended: YesI LOVE the residences and the staff the only complaints' I have are really dog mom problems. One of the huge factors that swayed me towards moving here was how dog-friendly the complex was. While it is dog-friendly, I do think some improvements can be made. For example, the dog area could be larger. I realize that residents have an issue with dogs being off their leashes and running around, but I do not think any dogs can get sufficient exercise or playtime in the tiny area that is available for them. Going to a dog park every day would be unreasonable, but it does seem that there is a bunch of extra space near the dog area that no one is using. I have never seen any residents walking around in that field, and it does seem like a great area for all the dogs in the complex. It also seems like a bad idea to have wood chips in a dog area versus grass I see a lot of dogs disrupting their walks playtime by eating that. I also feel like it would awesome to have better lights at night night walks can become dangerous without the lighting. In conclusion, other than complaints relating to my dog, I love this place. 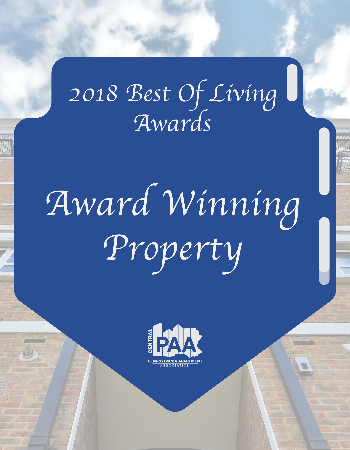 A Great Place to Livesubmitted by Rebecca H. - Nov 05, 2018 |Recommended: YesLiving here is awesome The property is well maintained and the staff are very friendly and respond quickly to any concerns. My opinion - this is where you want to live if you need an apartment in Carlisle.submitted by Paul C. - Nov 01, 2018 |Recommended: YesSeven Gables is clean, and up to date. Everything is in order. The staff is very friendly and helpful. All of the things I enjoy in a community are a short walk, bike ride or drive away. Great apartments.submitted by Jacob K. - Oct 08, 2018 |Recommended: YesGreat place to live. Accommodations meet all expectations. 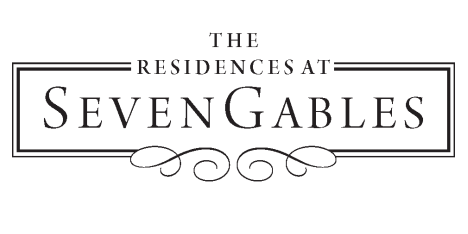 Great place to livesubmitted by Ryan L. - Aug 09, 2018 |Recommended: YesI absolutely love The Residences at Seven Gables The office and maintenance staff always provide exceptional service and are always friendly. The apartments are very nice and modern. ENJOYED LIVING AT THE PROPERTYsubmitted by Tristan H. - Jul 10, 2018 |Recommended: YesCentrally located in a quite town. We're happy submitted by Hina S. - Jun 05, 2018 |Recommended: YesGood staff. We're pleased with our residency here so far.